Group activities and exercises are very important when teaching a class with multiple students. In the traditional classroom environment tutors often divide the students into groups in different breakout rooms. How can you include group activities when teaching online with virtual training software? It’s easy – just use the breakout rooms feature in your class. What are breakout rooms in virtual training software? The short answer to this question is that they are the equivalent to the traditional breakout rooms that tutors use in schools. Group activities in class offer great benefits to the learning process. Therefore, it is crucial to incorporate them into your teaching practice when tutoring classes with multiple students. 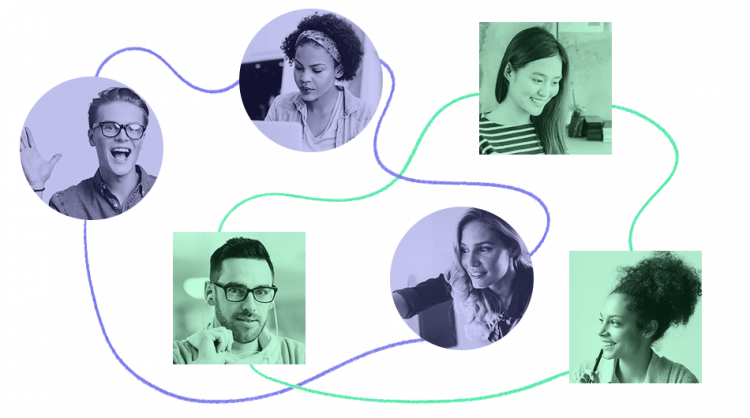 In the traditional teaching environment in schools and universities, tutors can easily divide students into groups and separate them in different rooms to work on tasks. The virtual training software provides the same capabilities for your online lessons thanks to the “breakout rooms” feature. Virtual breakout rooms are used for the same purposes and offer the same possibilities as traditional breakout rooms. They are a built-in feature in the virtual classroom that tutors can use at any time for as long as they want. 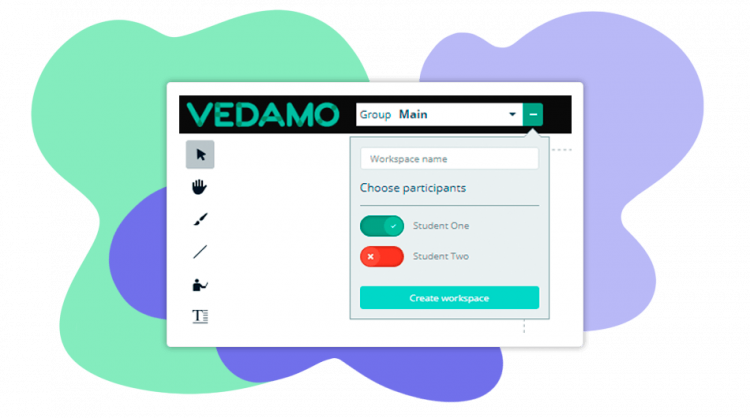 Breakout rooms are designed for group activities for classes with multiple students when the teacher creates the teams and assigns them tasks. 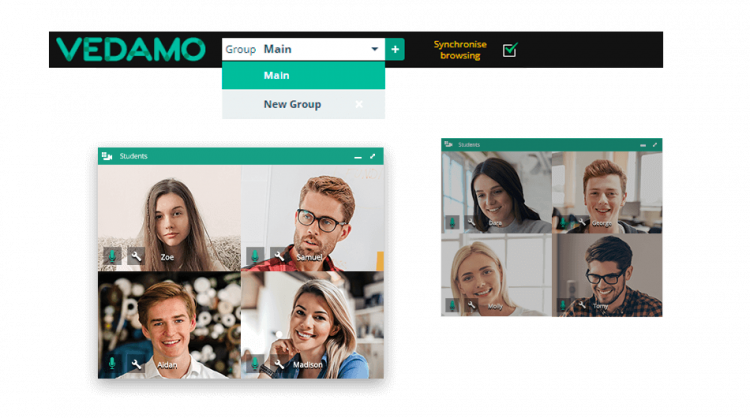 The rooms are suitable for group projects as well as for individual assignments when the tutor separates students into individual virtual spaces and gives them tasks. The first thing to do before you start using the breakout rooms is to decide and plan what group activities you want to include in the lesson. What’s the purpose of the exercises? For example, do you want to help students improve their cooperation skills, to encourage healthy competition, etc.? Plan ahead when creating the teams and calculating the time for each assignment. Breakout rooms are suitable for students of all ages. However, group activities are more appropriate for school/university students and adult learners than for young pupils because the activities require a certain level of independence and ability to stay focused. Breakout rooms in the virtual training software offer a broad range of features at your disposal. They are the perfect virtual working environment for teams. Each room has an interactive whiteboard, a chat feature, a video conference connection, a media player, etc. Participants can interact and exchange ideas and different elements to complete an assignment. The rooms for group activities are useful when teaching all sorts of subjects. If you can improve your lessons by including team projects and group assignments, don’t hesitate to use breakout rooms as part of the virtual training software. Teachers can easily create a breakout room within the virtual classroom and include the students that will be part of the group. The interaction within the group is visible only to the participants in the room. The content can be shared in the main room by the teacher or by students if they have permission to edit the included elements. All of the content and chat interactions will disappear when the breakout room is deleted. How can breakout rooms improve your teaching practice? There are many benefits to using various group activities in your class. Thanks to modern virtual training software teachers can use a rich diversity of resources and they can apply extraordinary and various techniques to their lessons. Why is it worth it to use breakout rooms in your lessons? More individual approach – When teaching multiple students who have various interests or knowledge levels, it is easier to divide them into groups for different exercises and pay individual attention to each group. Tutors can use different teaching techniques in each group. Individual assignments – Breakout rooms are suitable for individual exercises, tests, etc. Teachers often use them to separate students when they are taking tests or working on individual projects that require better focus and attention. More effective studying process – Group activities and teamwork give a real boost to the study process. Students are more engaged in the learning material and more interested in completing their assignments. Extra activities – Teachers can easily assign extra activities to students who finish their regular assignments ahead of schedule. Breakout rooms are a great way to improve your class management techniques by assigning exercises to students who break the rules or are bored during the lesson. Working in groups improves the focus of students when learning material. The teamwork assignments in the breakout rooms encourage social interaction. Students have the chance to get to know each other better. This is especially beneficial during the first class of the program when the students don’t know each other yet. Students learn how to express their opinions, how to discuss and argue respectfully, and how to help each other. Encouraging competition – Depending on the purpose of the group activity, it can encourage healthy competition between students. The teacher can divide the pupils into groups and give them the same task to stimulate them to find solutions fast. The participants of each breakout room cannot interact with the participants of the other groups. Encouraging critical thinking and discussions – Students are encouraged to express their ideas and opinions in the interactive study environment created in the virtual training software. Adds more excitement to the learning process – Teamwork projects make the learning process more exciting, interesting, and rewarding. It is up to the teacher to use techniques that stimulate the creativity of the students to make them more engaged in the process.